We all have that one piece of furniture in our homes that holds sentimental value. Whether it is a family heirloom, a gift from a loved one, or a piece of furniture that seems to have a longer history than we can remember, parting with such valuables is unimaginable. With furniture refinishing and painting, you can restore your old furniture so that it looks brand new again. While it’s a simple solution—and way more affordable than buying all new furniture for your home—it’s also a project best left for the professionals. If your furniture and cabinets aren’t properly prepared or you use the wrong paint, tools, and techniques, your refinishing job many not stand the test of time, or worse, it could end up damaging your furniture. Here are some of the steps you should take to ensure your furniture and cabinet repainting project goes off without a hitch. The first step before repainting your furniture or cabinets is to prepare the surface. If the wooden furniture isn’t cleaned, sanded, and stripped, paint will not adhere very well. Plus, if the surface isn’t smooth, you run the risk of getting visible drips, runs, and stroke marks, which isn’t all that appealing. There are different types of paint and lacquers you can use to repaint your furniture or cabinets. Depending on the look you want to achieve, you’ll find that each type of paint has its own unique finish and sheen. Consider the pros and cons of each type of paint before choosing a specific one for your project. Priming your furniture before painting is an important step many people forget when painting their own items. Primer creates an extra protective layer between the material and the colour paint. 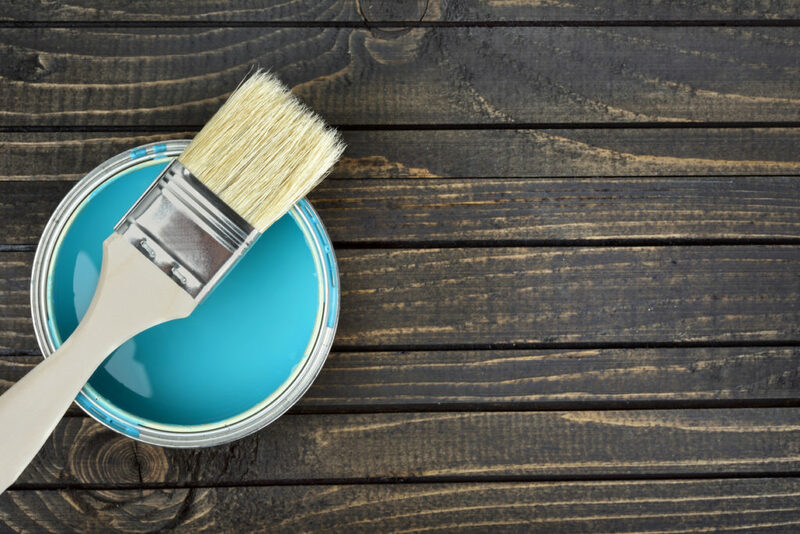 It prevents grease or stains from coming to the surface of your final finish coat and seals the surface of the wood so the paint can adhere better, instead of soaking into it. This will create a more opaque, full, even look, once you’re finished. Using different painting tools, like a brush or roller, will have a different effect and texture on the surface of your furniture. If you are painting cabinets, brushes can work, but you must be careful not to put too much paint on your brush. Too much paint on your brush or on the cabinet doors can lead to drips and unnecessarily long drying times. A better option is to have them spray painted off-site, which is done best by the professionals. Sometimes, tackling a project like kitchen cabinet repainting or furniture refinishing is too much to manage on your own. If you want to give your home a quick upgrade without breaking your budget, why not trust the professionals to help you? At Booth7, we think outside of the box when it comes to home upgrades, and there are many affordable projects we can work on that will dramatically transform the look of your home. We are a one-stop shop and our professionals will handle all the details of your kitchen refinishing or furniture restoration project from start to finish.